3 bedroom, 2 bathroom villa in the Briargrove community. Owned by Brian Mitchell. Ref: 51. 5* Luxury Villa with Private Pool & Fenced Back Garden - NOT OVERLOOKED! WOW! - Private Jacuzzi/Hot Tub! Oversized 30 ft Pool! Wi-fi HIGH SPEED INTERNET ACCESS! NINTENDO Wii WITH GAMES! SMART TV WITH ACCESS TO APPS FREE PHONE CALLS! Large Flat Screen SMART TV, Full size table tennis table! Hello! Hope you enjoy reading my bio below......I love the Orlando area as it has so much to offer from the glorious weather to the fantastic theme parks, shopping and outdoor activities. This is the reason why I bought my home in Orlando as for me it is the greatest place on earth! I had a career in professional football for 15 years at Aberdeen, Bradford City, Bristol City and Hull. After retiring I returned to university to study for a management degree and now work for Sportland managing a programme in the NE of Scotland that encourages children to keep a fit and adopt a healthy lifestyle. I have been involved in property in the UK for many years and that experience helps me understand that customer requirements are key and to ensure the highest possible standards are provided for my guests. I always ask for comments back after guests have stayed to ensure that standards and quality assurance are maintained and the fact that guests keep on returning is an endorsement of that high standard. 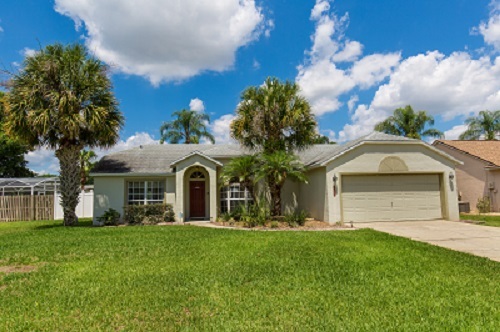 That together with ensuring the service offered not only by myself but from my property manager will ensure you have a great vacation in my home in Orlando - come and see for yourself and book today! For privacy reasons, the marker on the map shows the Briargrove community location and not actual villa location. Florida Fun Villa! Fantastic Villa recognised as one of the best by previous guests. SEE FOR YOURSELF! VIRTUAL TOUR AVAILABLE - Just click on the 360 link above - YOU WILL LOVE IT! Only minutes from the front gates of Disney, this luxury, 3 bedroom, 2 bath, Pool & Jacuzzi Villa will ensure you have the holiday of a lifetime. Situated in a private community, this vacation villa is only a few minutes from all the main attractions, shops, restaurants, and golf courses. A supermarket is within a two minute drive. Fully-equipped with over 1750 square feet of living space, this home is set in a ¼ acre plot with Private Fenced Garden allowing total privacy for you and your children to play safely and to enjoy lounging by the pool or relaxing with a cool drink in the Jacuzzi Hot Tub. (Pool & Patio area get the sun all day) The large enclosed back garden also allows your children to roam free in safe, secure surroundings. The villa is fully-equipped with superior furniture adding to the luxurious feel and homeliness that will make your stay in Florida a wonderful experience. Highly Rated by previous guests so book early to avoid disappointment! * Master bedroom with en suite, Double bedroom, twin bedroom, plus double sofa bed. * Gas BBQ, and Pool Furniture. * Fenced Private Garden with grass and Additional Patio Area, allowing Total Privacy and Safety for children to play. * Open plan lounge/living room with French doors through to Den with Luxurious leather suite. The den leads out to the pool area. 2 separate living areas-one for kids! * Fully-equipped throughout with all linens, towels, etc. as well as Washer and Tumble dryer. * Safe, Crib, High Chair & Stroller Available Free of Charge! * Fully air conditioned with additional ceiling fans in rooms. 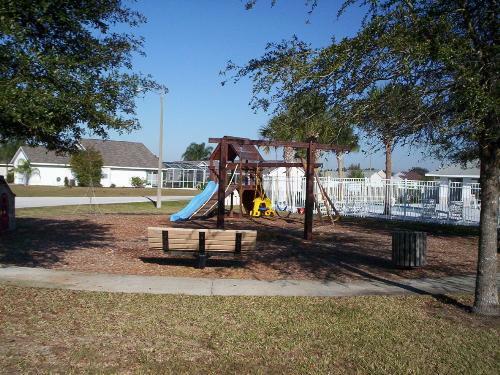 * Tennis Court and Children’s play area in community. * 24 hour Management Company. * Electric Pool Heat Available for $155 (£95) per week if required. Jan & Keith Cowan, Staines, England - We thought the villa was fabulous and would not think of staying anywhere else should we be lucky enough to visit the area again. It was spotlessly clean and everything was arranged nicely for our arrival with light on. 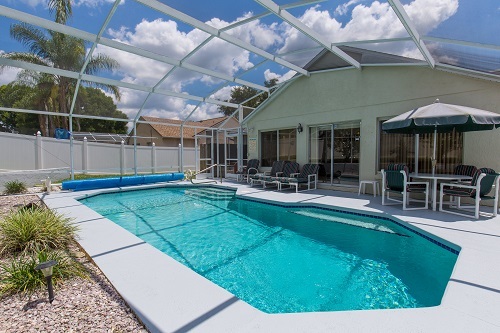 We have rented two other villas in Florida and yours is by far the best.We would not hesitate to recommend it. Glenn & Debra Monkman,PA, USA - The villa was just perfect. We were a bit concerned since we never used the internet as a medium to locate a rental. Sometimes the pictures on the net aren't always what you get. However, the moment we walked into the villa, Wow! Everything was just perfect. All the comforts of home and the extras like the pool & hot tub were just great. The location of the villa was extremely convenient to all the attractions, shopping, restaurants, etc. We stayed the week before at one of the Disney resorts. It was nice, but the house was better. I don't have any negative comments about the experience, it was great. We will definitely recommend the villa to any of our friends who are interested and we will be back in the future. Jan Filsinger, NY, USA - We absolutely loved your villa, and were completely satisfied. Its furnished beautifully, and is so comfortable. I was saying to my Mom that there are so many decorative accents in the villa that just make it feel like home, and that I would have to be sure and let you know how nice it was when we returned home. It wasn't lacking anything. I just can't say enough. Amy Salls & Family, Maryland, USA - Your home is absolutely beautiful. I have to tell you we were absolutely ecstatic when we arrived at the villa. Even though I had seen the pictures from your website, it was even nicer than we had expected. Again, I cant say enough great things about our stay at your home. My husband is already talking about booking a trip for next year! Average rating: 5.0 / 5 from 7 reviews. Just landed back in the UK from a fantastic holiday the second half was a week's rental in this villa. This is the first villa we have rented and found the process very easy. The information provided by Brian was very helpful , already received the deposit back. The villa was very clean with everything needed to enjoy a weeks holiday .We all loved the area , very safe with a good selection of shops and restaurants just a few minutes away. Just to also thank you personally for renting us the villa. It is in a great spot (even managed to run a few miles around the estate and the one opposite, very early morning mind you!) and so well maintained. We packed a lot in (my first trip to states, and we've always wanted to do before kids go off to university) but always great to get back and chill at the villa, use the pool. Beds comfortable, kitchen great, although, for the first time ever I think, we rarely self-catered and ate out. Did voila few eggs for snacks and one evening of pasta for fuel! Interesting wildlife (Sandhills Cranes I think?) too. Friendly neighbours and dog walkers around too. .
Can see why you have a place out here. Right, flight leaving, all the best. We had a fantastic time in Orlando and have just arrived home after a few days in St Petes Beach. We really enjoyed our stay at your beautiful villa. 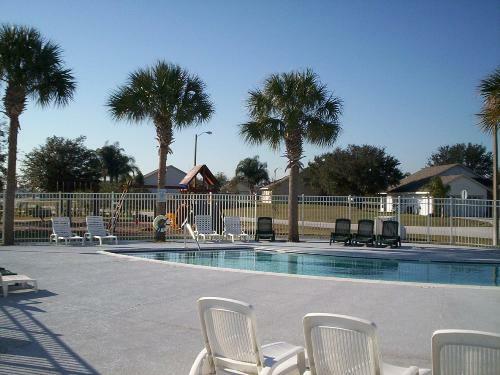 Everything about it was excellent, the pool , location and the close proximity to the major parks. The villa was very clean and ready for our arrival. As mentioned earlier we all loved the pool and all the amenities in the villa particularly the air con! Once again thanks for all your help and communication regarding the villa. 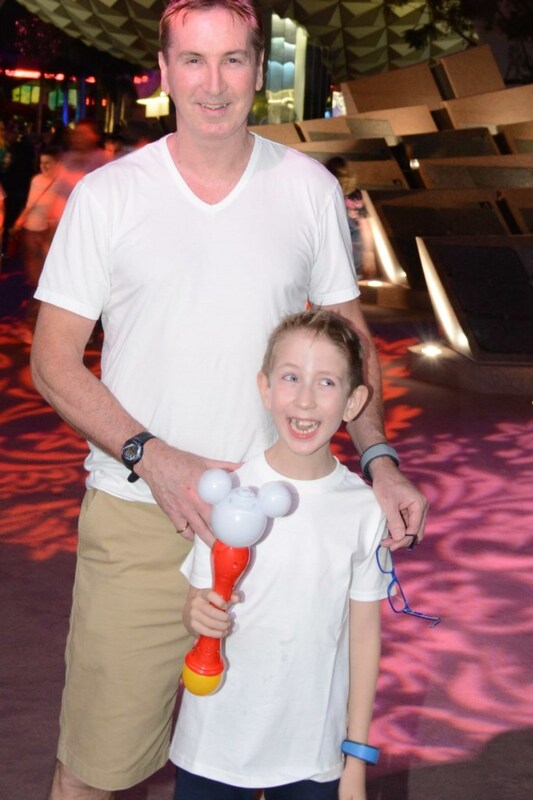 We hope to return in a few years time and would certainly be very keen to stay again and I would certainly recommend it to any one who is going to Orlando. Florida Fun Villa – Luxury Unsurpassed! Going to Disney Florida ? Where do you stay ? We’d been told that Disney Hotels drink your cash, and unless you pay for the high end they are not much better than ‘Travel Lodge’. Friends recommended this and that - but we wanted Freedom; Flexibility; Luxury; and easy access to Walt Disney World. This website delivered. Many Fly drive packages promise some of the above – but what about that little bit extra? We think we found it. After lots of time researching, we hit on the idea of hiring a private Villa in a residential area called ‘Briargrove’ It’s about a 15min drive to the Magic Kingdom. Owned by an ex footballer – it has just got simply everything ! There is a good supermarket ‘Publix’ at Champions Gate within 2 miles. Eating out as you know has a vast choice. We tried breakfast at ‘Ponderosa’ about $8 (Kids eat free every day) ‘Ponderosa’ is a good 10 mins drive away. Good non-overlooked private pool; huge amount of space for 6 or 8 folk ; A kitchen with everything you could possibly need. An air-con system that’s the quietest and most efficient I’ve ever come across. Now the downside . . . “The Dishwasher took a long time” . . . Yep that’s about it ! Thank you for letting us stay in your lovely home. It was a very different holiday to the one we had 2 yr ago in apartments. Your villa was very clean on arrival and I had no problems finding it or gaining entry via key box. The washing machine was easy to work and I made great use of the line in the garage to hang clothes on ?? it was great having dishwashing tabs left for us and I replaced them when I left for the next guests. I made the most of the toiletries and sun cream that were left under the sink and in turn left replacements. The location was perfect for us somewhere nice and quiet with plenty of space where my autistic son could have some quiet time if needed which helped him settle in quickly. The kids loved the pool and the pool toys which were used morning and night. We got back safe and sound after a slight delay due to the snow which was a bit of a shock after the Orlando weather! Overall we had a really good holiday and enjoyed our time in your villa. On arrival the villa was spotlessly clean, and location wise gave easy access to all the parks and the I4 which pretty much takes you everywhere. The directions from the airport were good and we drove straight there with no issues at all. Amenities wise it was really good to have a fast internet connection and good selection of TV channels - not that we watched a lot but useful in the evenings. We didn't use the hot tub - more to do with the dark evenings than anything else. We also found the beds really good, we have stayed in some villas where the mattresses feel thin and cheap but we found yours really comfortable. Overall we had a really good time and would happily stay in the villa again for a trip to Orlando. Despite delays regarding flights, we are finally home! Our holiday in Orlando was wonderful, soon realised 10 days was not enough to do the things we had hoped, BUT we will be back in the future to hopefully see more of what Florida has to offer. We had a wonderful stay in your villa, we took full advantage of the pool! It's locations is great, in a quiet residential area. Was very peaceful . Everything is literally on the door step or only 30min drive, definitely central for all kinds of entertainment for the family. Villa was fully equipped, it had EVERYTHING we needed and more. First impressions definitely 10/10! My mum was extremely pleased with her room and the generous en suit and walk in wardrobe especially !! Being a young family with little ones this was THE perfect holiday for us , home from home! I was very fortunate to have come across your villa, couldn't of asked for more! Will not hesitate in returning to this fab villa for our next trip to Orlando! Your enquiry will be sent to villa ref 51 only. This page has been viewed 183288 times since 01 Feb 2002.